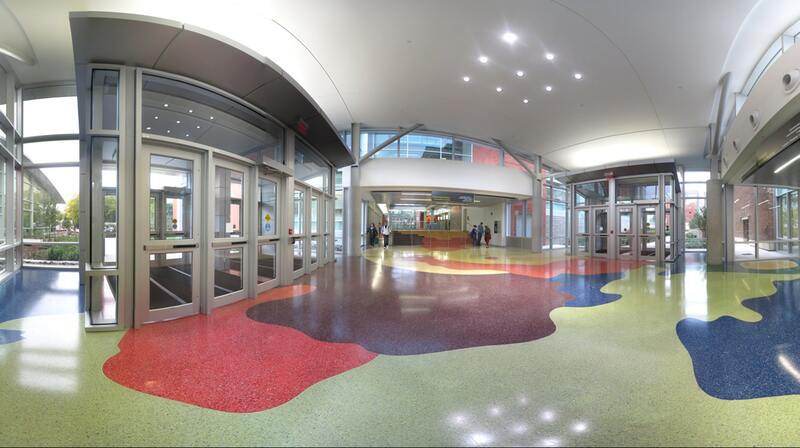 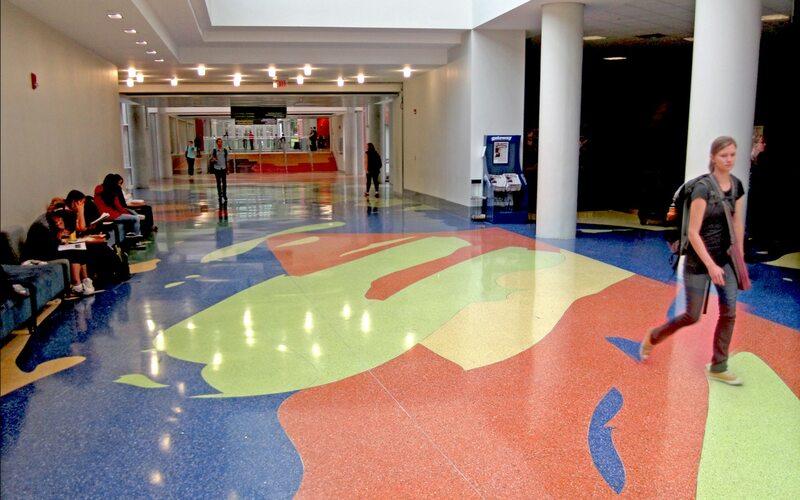 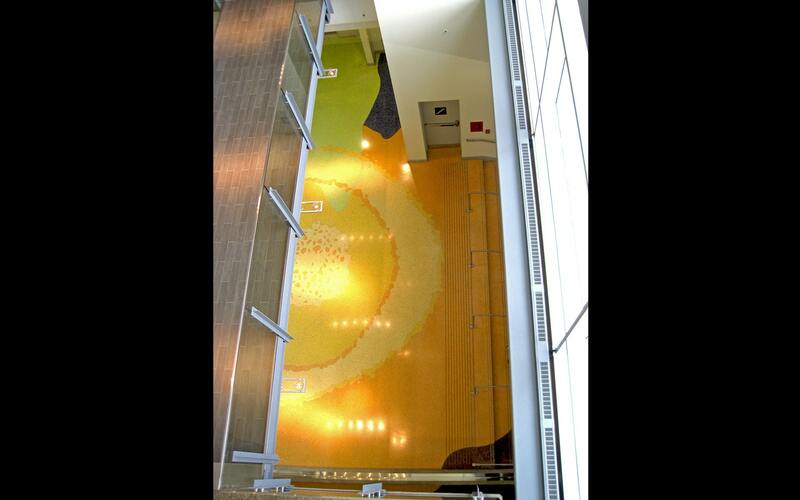 Learning to Fly is an unprecedented award-winning artistic terrazzo design, nearly 40,000 sq. 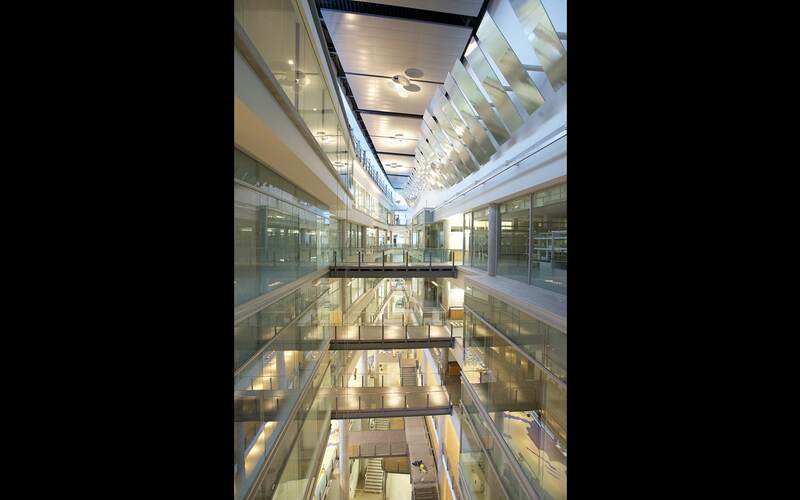 ft. in size, for the world-class research and teaching facility Centennial Centre for Interdisciplinary Science (CCIS) at the University of Alberta in Edmonton. 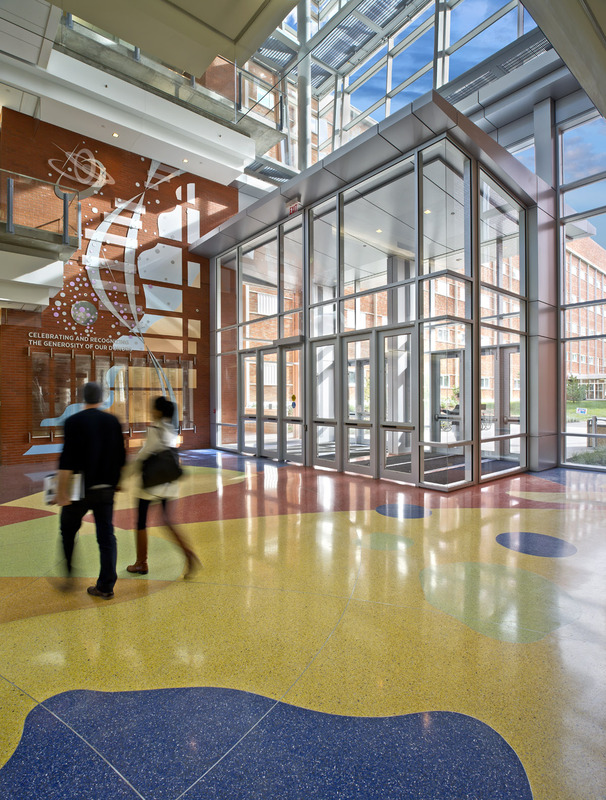 This state-of-the-art facility brings together students, professors and researchers from multiple fields of interdisciplinary scientific research: Integrated Earth and Landscape Management, Nanostructures and New Materials, Resource Geosciences, Chemical Biology and Proteomics, Planetary Dynamics, and Physics. 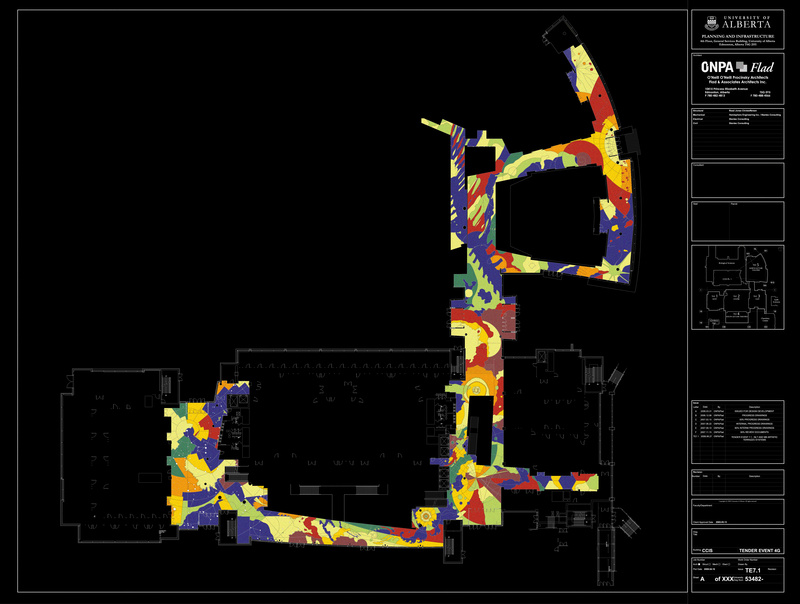 My design concept began as a response to the geometry of the planned built environment and the geometry of the research environment. 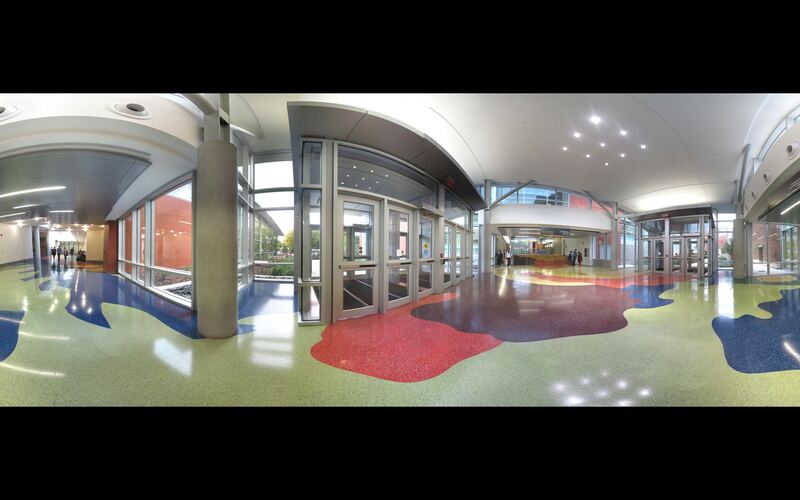 The design’s size and multiple passageways emphasize the transformational quality of education by offering a sense of journey and discovery. 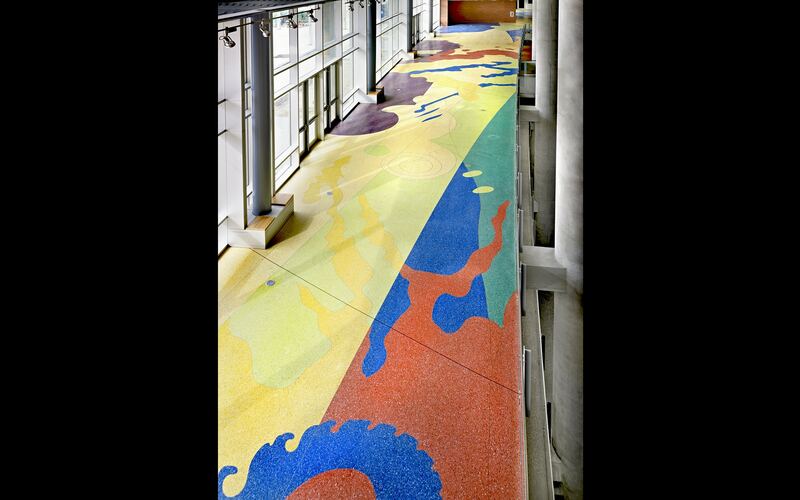 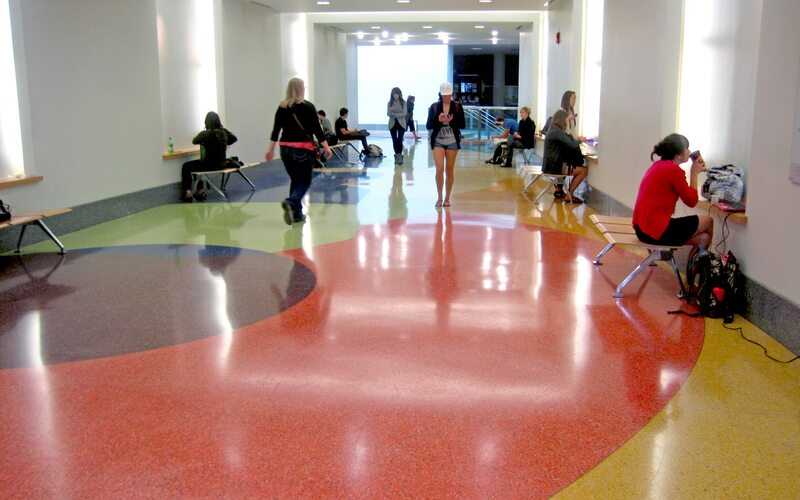 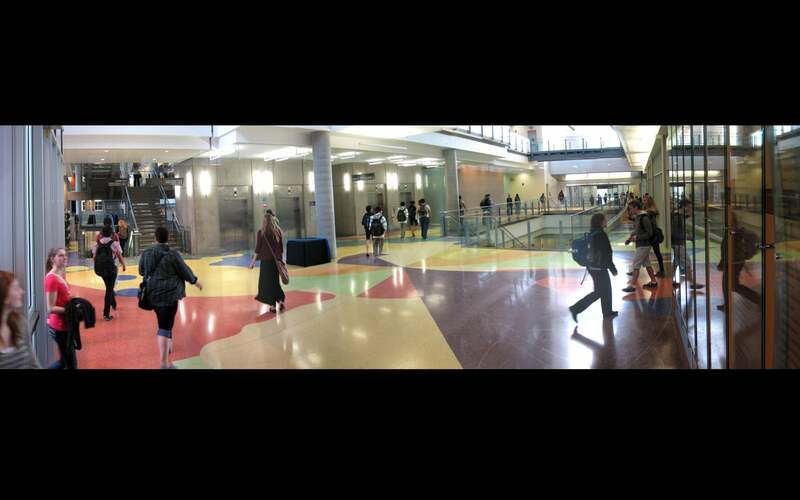 The floor is a ten-color epoxy terrazzo design reflecting the scientific research conducted at the University of Alberta, from a 300 ft. plesiosaur to neurons, fractals, subatomic particles, and stars. 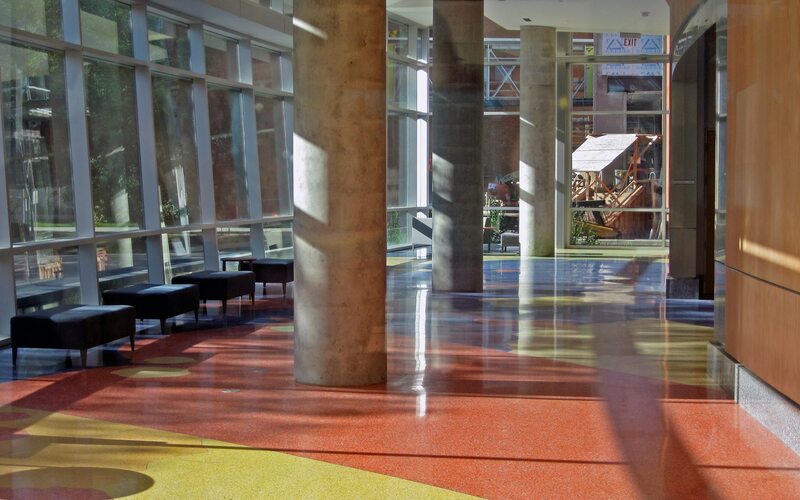 In total, the divider strip runs over 7 miles in length and more than 5,000 gallons of epoxy were poured. 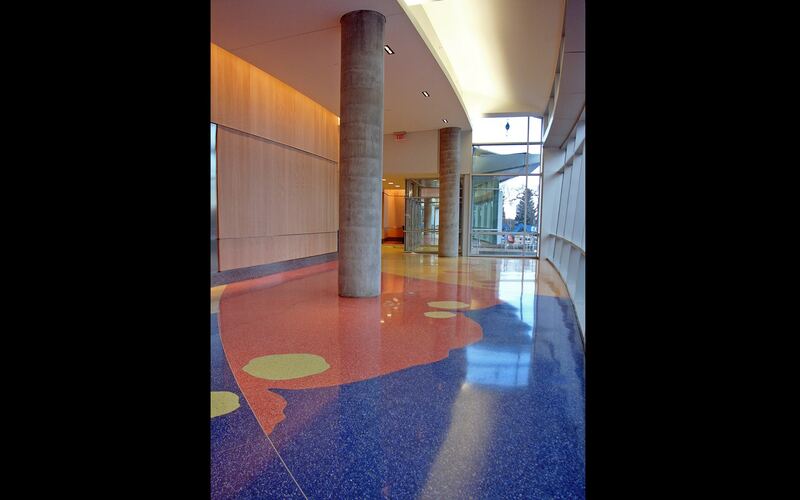 The terrazzo contains aggregates crushed from windshield glass, mining byproducts and various marble. 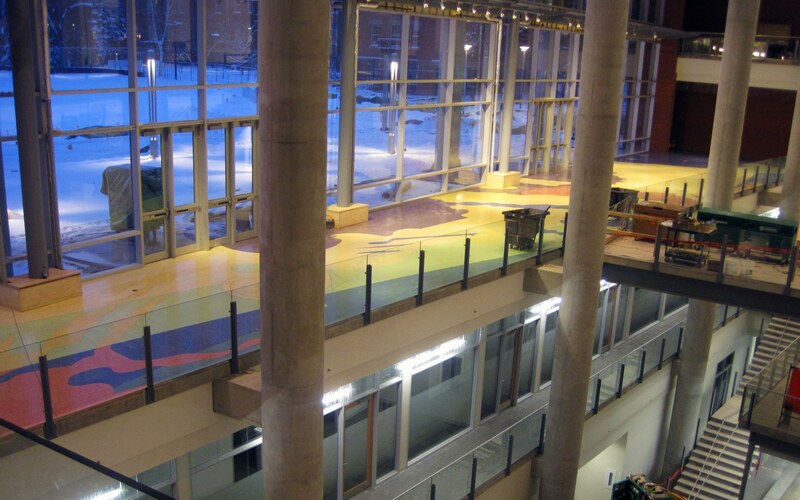 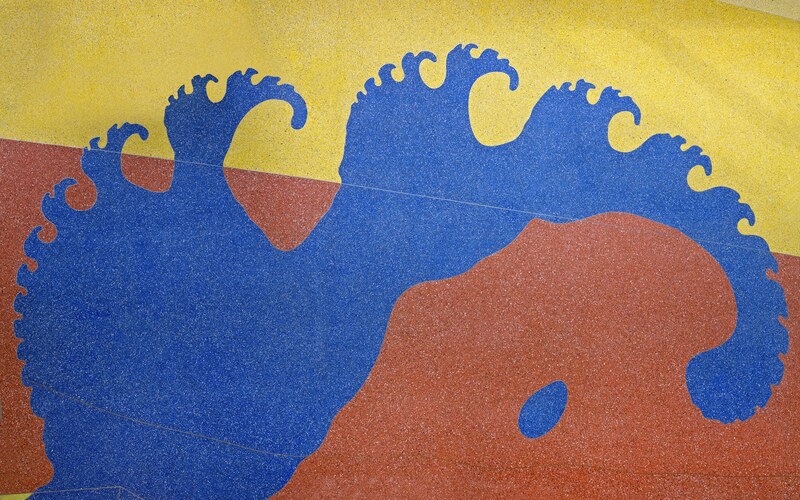 The gesture of connecting interior to exterior spaces is critical to the design: for example, looking out the North Theatre windows to the nearby North Saskatchewan River and recognizing the link to fluid dynamics with the river’s flow echoed visually in the floor, or to connect the formation of ice crystals on the windows outside to a diffusion limited aggregation in the form of a fractal embedded in the floor at your feet. 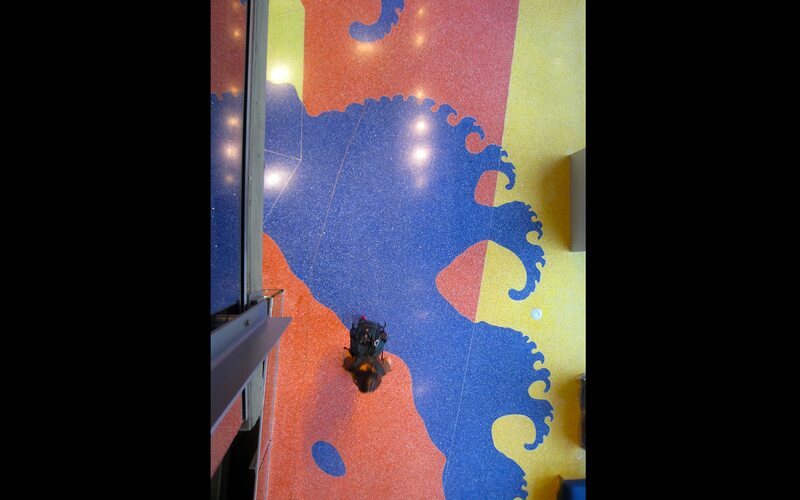 In another section, one can make the connection between the patterns in the floor and the symmetry witnessed in the seasonal migration of a flock of birds outside. 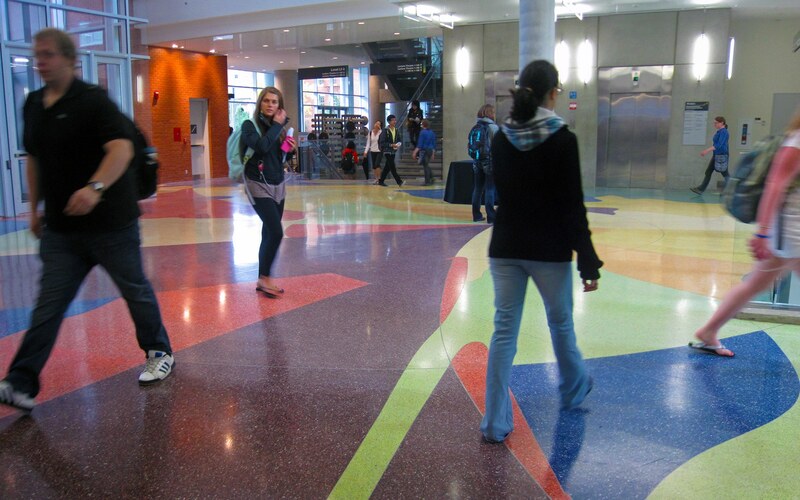 When this moment of recognition occurs, the world and its simple gestures become a much more meaningful and rich environment to discover. 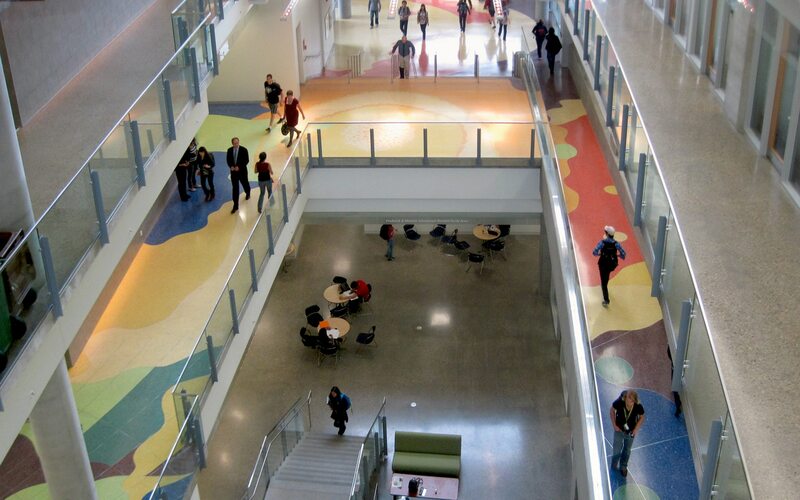 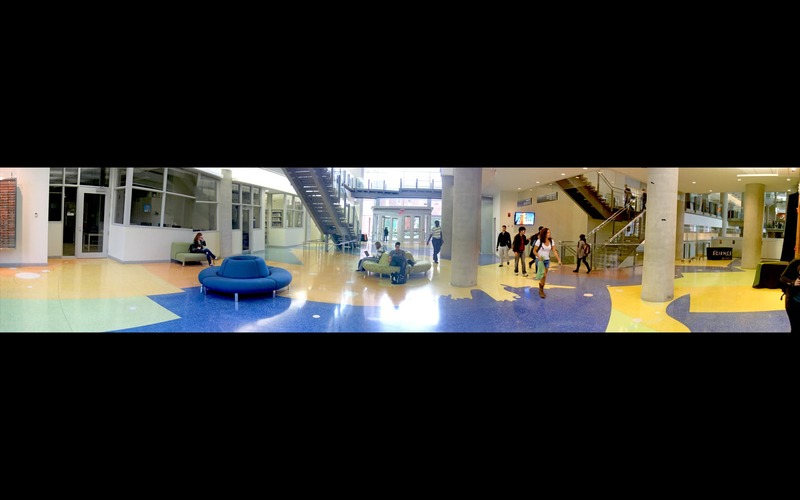 Walking across this floor should offer a sense of journey and discovery, like education itself. 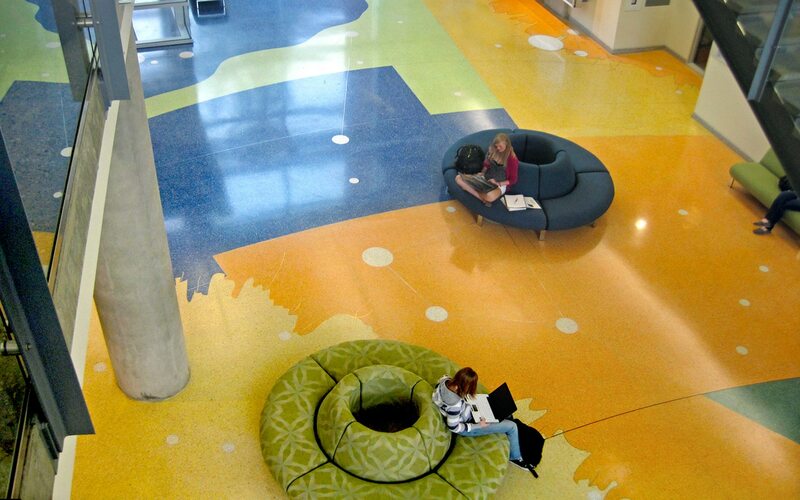 I would like for people to come, think, sit, and wonder—bridging their ideas and thoughts to what it is they have come here to study and what they see in the floor.